SPL-15L is rated 4.5 out of 5 by 4. Rated 5 out of 5 by Robert L from Excelent product Bought this to do some auto work and clean up any spills. Worked like a charm. I also used it to absorb oil leakage while draining my lawn mower. Again worked great. I would recommend this to a friend. 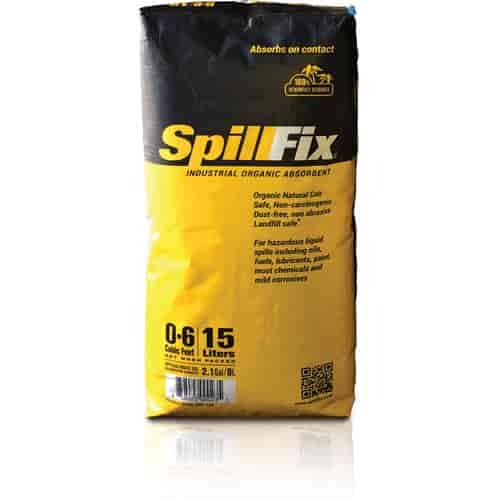 Rated 5 out of 5 by Dennis R from Great product Excellent product, highly recommended for spills in the garage. Will purchase more. Rated 4 out of 5 by PacShore from Just glad to have it in my garage Although I have not had to use this yet, I am glad I do have it in my garage in the event that I do need it! As for receiving the item along with my other orders, all went smoothly, thanks JEGS!